The book is an easy easy read. It is well organized and contains many examples and tips. 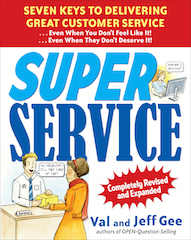 Customer service can, and should be, a win-win situation. Build stronger relationships with customers through the OPEN Questioning technique. By asking four types of questions-Operational, Problem, Effect, and Nail Down-you can address customer needs, find connections, and build the kind of relationships that enable you to close more sales. From getting in the door to handling objections to making the close. With more than 100 sample questions and end-of-chapter exercises, you'll soon be on your way to building winning customer relationships. The stale, old way of learning is boring and tiring—adults are autonomous and self-directed learners. They want to be up on their feet experiencing new skills and be challenged in a meaningful and fun way. From senior executives to new recruits, Managers, trainers and supervisors will pick up this book and be able to facilitate exercises with immediate, positive results. Using the "Switch" Method to change how you deal with difficult people and get the best out of any situation at work and at home. Filled with techniques to help you in life from the the words you use to communicate to the billions of nerve cells inside your amazing brain. An eye, mind, and soul opening experience for anyone, at any stage of their professional or personal life. 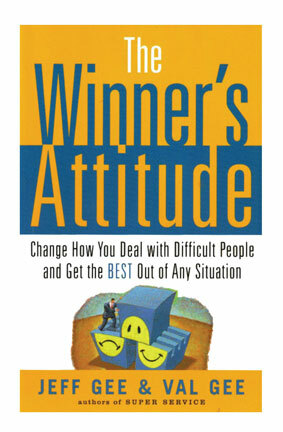 This book reveals how to be passionate and in control of the winning attitude that already exists inside of us all! If you have any questions please email us at: coach@mjlearning.com.